The Pakistani property market has seen growing interest in recent years, largely due to close international ties between China and Pakistan. In 2013, Chinese President Xi Jinping announced the China-Pakistan Economic Corridor (CPEC), a $62bn project to develop Pakistani infrastructure and energy. With better access to cities across Pakistan, investors are seeing more opportunities to build on the land near these new developments. CPEC projects include the $2.8bn Peshawar-Karachi Motorway, set to open in August 2019, and the construction of the East Bay Expressway in Gwadar Port in the south, due to be completed later this year. Both will dramatically help to facilitate real estate developments on previously barren land. 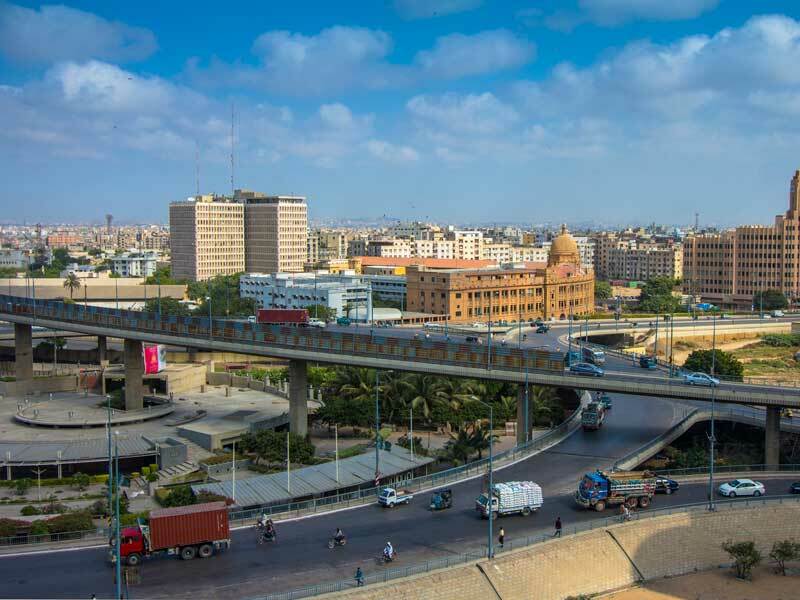 Rather than building in megacities like Karachi, investors are taking their money to more peripheral locations in order to create urban clusters on formerly agricultural ground, which is known as ‘peri-urbanisation’. “The landscape has visibly changed with the proliferation of housing societies and gated housing enclaves moving along highways towards secondary cities,” according to Anjum Altaf from the Lahore University of Management Sciences. As a consequence, investment in residential property increased from five to seven percent between 2015 and 2016. Pakistan’s growing middle class is a major driving force in the rising popularity of these gated housing communities. Luxury development projects, carried out by companies like Bahria Town, DHA City and the Fazaia Housing Scheme, for instance, are some of the most sought-after by those who can afford them. The rising number of luxury developments, however, is not solving the housing gap currently bedevilling Pakistan. With a population of almost 200 million people, Pakistan is suffering a shortage of 12 million houses. Karachi, with its behemothian population of 16.6 million, has an annual shortage of 300,000 houses. “It’s not about the catering to actual demand or housing shortages. It’s much more about the tastes of richer Pakistanis,” Aisha Ahmad, a research student from the University of Oxford, told World Finance. Real estate has become an attractive option for investors: numerous housing schemes are launched with the promise of 10 to 40 percent returns. Meanwhile, FDI has also been made easier as a result of measures introduced by the government in 2013. These include a new open entry system, which waivers pre-screening and government permission for investment into real estate. Furthermore, investors are no longer limited on the transfer of ownership or entitlement to lease land unless they breach Federal or Provincial regulations. These measures have encouraged foreign investors, and Pakistani expats in particular, to pour money into the housing sector. At present, much of this FDI comes from Egypt. Serving as an example of this is a new $2bn real estate development just outside Islamabad – the first of its kind from Egyptian billionaire Naguib Sawiris. Once finished, the complex will cater to every need of its occupants, from luxury housing units and schools to hospitals. “That’s what every Pakistani housing scheme coming from FDI looks like. They all tout the same thing: the American dream for Pakistani citizens,” Ahmad explained. Consequently, foreign investors remain keen on Pakistan’s real estate sector. According to data from Business Recorder, FDI in Pakistan increased by 132 percent to $340.8m in February, compared with $146.7m 12 months prior. The largest segment of FDI – $86m, to be exact – was pumped into the construction sector, which is hardly surprising given the attractive returns on investment. Thanks to Chinese funding in roads and motorways, investors now have access to untapped plots of land upon which residential property can be built. As such, this trend seems set to continue in the near future, thereby facilitating the continued growth of Pakistan’s burgeoning real estate sector.